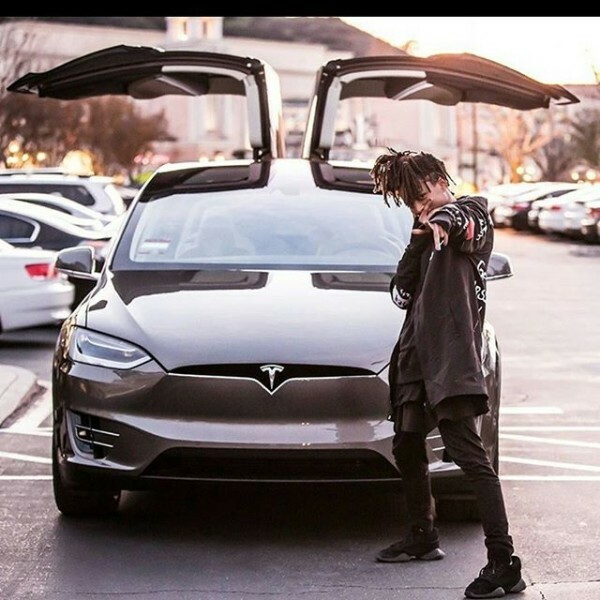 Jaden Smith is just the second celebrity we’ve spotted now with Tesla’s new Model X. Jaden’s older brother Trey, shared a photo of Jaden posing in front of his new Tesla after he picked it up this past week. According to his caption, this is the first car for the seventeen year old which means he may be one of the few celebrity kids that didn’t get a car for his 16th birthday? !